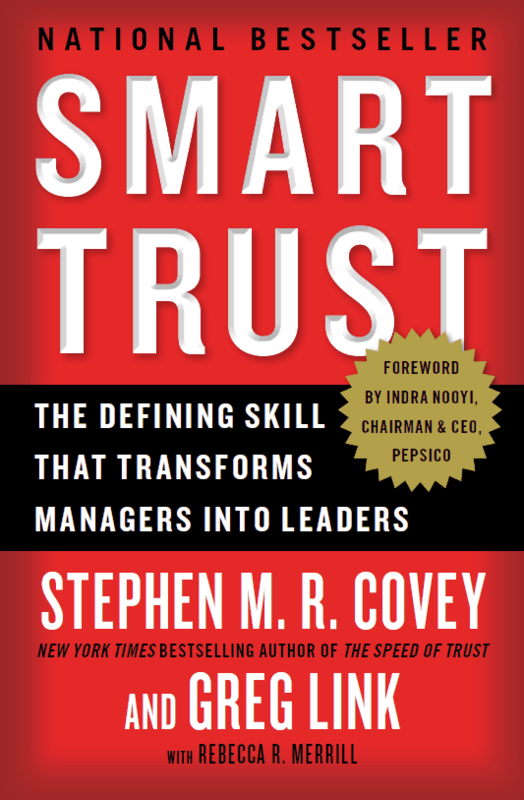 Covey, Stephen M. R., Link, Greg, and Merrill, Rebecca R. Smart Trust, Creating prosperity, energy, and joy in a low-trust world. London: Simon & Schuster, 2012. I read this book for three reasons. First, I enjoy and learn from reading in the leadership/management development popular literature. Second, I had an interest in learning more about trust. Third, and most of all, I have benefited much from the author’s dad’s writing and hoped to get a feel for the son’s work. Stephen R. Covey (as opposed to M. R.) wrote the classic Seven Habits of Highly Effective People, a book that has had a significant impact on my life. But alas, that’s not the book I’m reviewing. Smart Trust is, it seems, a sequel of sorts to the earlier The Speed of Trust. Without having read the original book, it seems the basic idea of that first book is that the sooner you can develop trust, the more effective and efficient your dealings with others will be. The concept in Smart Trust could be summed up in three words: Trust… but verify. The authors place “smart trust” in the centre of a continuum in which one extreme is distrust and the other is blind trust. The argument is simply that since high trust in a business setting leads to higher speeds and lower costs, we should learn to automatically trust… but also verify. First, the general concept is helpful, and the decision model on p. 215 is an excellent way of assessing trust decisions. For those of us who think of ourselves as realists (sometimes read “pessimists”), there is a valuable lesson here to be learned. Second, the content is well presented and easy to read. Third, like Stephen R. Covey, these authors seek to focus on character rather than “leadership techniques.” For example, “You can’t talk yourself out of a problem you behaved yourself into. The only way out is to behave your way out” (p. 137). 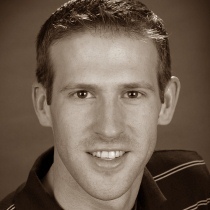 First, the message of the book really is that simple: Trust… but verify. It simply doesn’t warrant two hundred and fifty plus pages. The point could have (and should have) been made in one hundred odd pages. Second, the book is better presented than profound. The leadership book formula is followed perfectly, but the concepts are loose; not fully nailed down. The ideas are poorly thought-out. Basically coherent? Yes. But the crisply cogent clarity I hoped for was lacking for the most part. Third, dozens of stories seem to be intended to illustrate the points, but often do so quite loosely and with dubious validity. I found trudging through this page-fill wearisome in the end. It was almost as if someone thought they needed lots of stories to keep people reading. While I’ve been rather hard on the authors, my comparison with the first author’s father sets the bar impossibly high. This book is a worthwhile read for leaders and managers who want to reap the rewards of a high-trust environment in the organisations they lead.